Our content distribution network contains the largest selection of media sites in the industry. Great content means nothing without a meaningful audience. We deliver massive media placements and audience numbers – every time. For over a decade, we’ve developed content partnerships with weekly and daily newspaper publications and other online media sites. The majority of these partnerships are exclusive to Brandpoint. The breadth of our media network allows us to cater to high-demand audiences both broad and niche. The pharma industry is very highly regulated, which means once the copy has gone through compliance and legal review, it cannot be changed. Once it’s in the editor’s hands, they might want to make some edits, rendering the content useless. 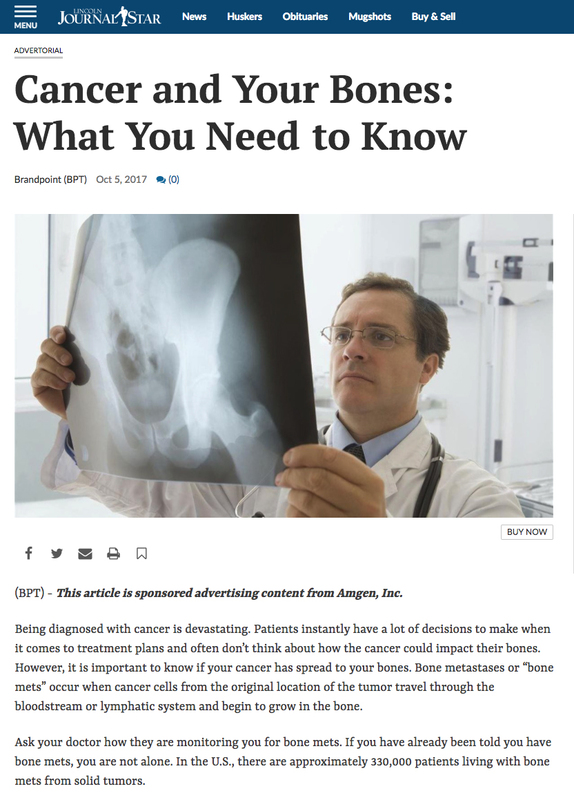 Pharma content must include ISI (Important Safety Information) language at the end of every pharma-related piece of content, which can be a tedious task. Brandpoint has taken the last 10 years to build a proprietary network of online media partners. These partners and editors are always willing to publish our clients’ pharma content, including the sometimes lengthy ISI requirements. And, just as importantly, they won’t make any edits to the copy. Hispanic Americans now make up 17 percent of the U.S. population, and projections from the U.S. Census Bureau show that the Hispanic share of the U.S. population will reach 28 percent by 2060. That’s why reaching the Spanish-speaking audience is crucial for many marketers and Brandpoint can help you reach this booming demographic. Whether broad or niche, Brandpoint will help you target and distribute content to the right audience.